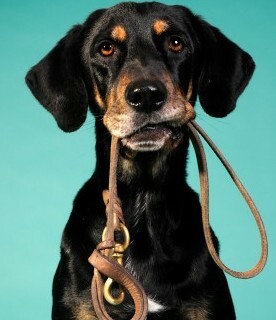 In an ideal world, everyone would make the time to take their dogs out daily for some play and/or a walk together. A dog walker isn’t a replacement for this but can be a great help in breaking up a long day or supplementing your daily walks for a young dog with energy to burn. Do you do an in-person interview? A must. A prospective candidate should come and get to know your dog (and assess appropriateness for a group walk if applicable) as well as understand your needs and concerns before agreeing to walk Rover. How long have you been in business and do you provide references? Experience is important but doesn’t always give the whole picture. Unless a dog is coming home injured or hides when the walker arrives it’s difficult for clients to know just how good their walker is. If you can go out for a walk with a potential candidate and see how they handle your dog before hiring that’s best but if that’s not possible, the more references you can get, the better. Do try to get references from people with a dog who is the same size and energy level as your own. Don’t forget your dog’s input – if Rover doesn’t light up when your walker arrives, trust his judgement! Highly desirable and a sign that someone takes their business seriously..
Are you trained in canine first aid? Non-negotiable. 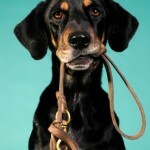 Canine first aid training courses are easy to find in Toronto and a must for all dog walkers. How many dogs do you walk at once? The law limits group size to 6 dogs but any more than 3 takes a very conscientious walker to supervise adequately and provide enough stimulation and attention to each dog. There is no perfect number; it really depends on how knowledgeable a walker is, where they go, whether they let the dogs off leash or not and if they get them engaged in games of fetch and tug. I’ve seen many a walker standing around texting or chit chatting with other walkers while the dogs either go crazy or sit around bored silly. Ask your walker how many dogs they take, what they do and if the group is the same each day. Where do you take the dogs? Off leash corrals can be a great place to burn off some excess energy but they shouldn’t be the main event. Spending an hour getting over stimulated in a pen isn’t good for anyone. Your dog needs to walk and explore. Know where your walker is taking your dog and what they do there. What do you do if my dog barks at or jumps on people on walks? How do you prevent fights? This will clue you in on their thoughts on punishment and how much they know about behaviour. They should only use humane, gentle methods. They should bring treats on walks as well as balls and things for the dogs to do. No choke chains, prong collars, spray bottles, knees in the chest, etc. If everything they know sounds like it came from a TV show, pass. Few walkers are actually qualified to be good trainers – a good walker knows to refer behaviour problems to professionals. Ask your walker if they have trainers that they refer to. Do you leave notes after walks? Has a dog ever been lost or injured in your care? What happened and what did you do? It is good to know what your walker will do if a bad situation arises. Understand that if one member of the group runs off, your dog walker may be limited in what they can do without risking the safety of the other members of the group. For larger services, I recommend asking if you will get the same dog walker every day. Consistency is nice for you and your dog. You will also be giving keys and possibly alarm codes to a stranger. It is nice to know that there won’t be a new person each week. You may want to know what kind of flexibility your walker provides ahead of time.